Learning and development services are not necessarily something you use every day, so it’s sometimes far more economical to outsource them. 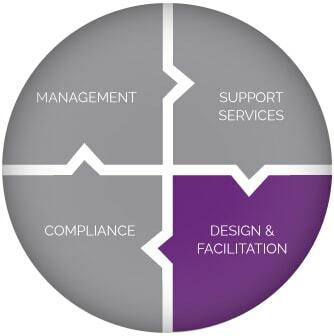 TDS has the resources, expertise and manpower to support your learning and development needs, from hire to retire. When creating training programs, we follow the ADDIE instructional design methodology, which incorporates Analysis, Design, Development, Implementation and Evaluation. A new workforce of a major joint venture project needed to be trained in less than 18 months. Read the story. Decreased training costs and better tracking of training expenditures are just some of the benefits of our Program Management solutions. Learn more.